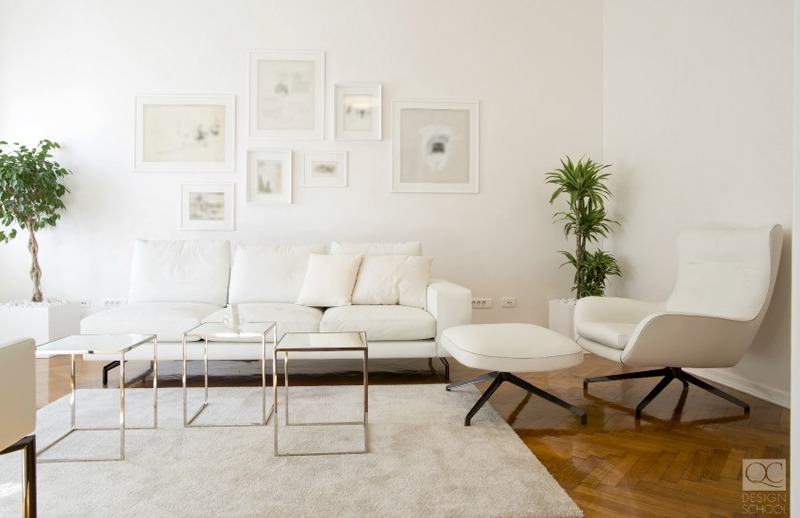 As interior decorating trends move towards environmentally-friendly materials, decorators are facing an increasing challenge to design an in-home environment that is safe, practical, and pleasing to the eye. So how can you make your client’s space greener? Nothing makes a space come alive than actual living plants! Not only will they give the benefit of fresh air (never underestimate the benefits of extra oxygen in the home), but they’ll also give off vibrant pops of color without breaking the bank. The positive effect that plants have in a home is well documented and studied. Here’s an infographic based on NASA’s study of the best plants for improving your home’s air quality! But there’s more that goes into greening up a space besides just buying any old plant and putting it on the table—there’s a science to it! 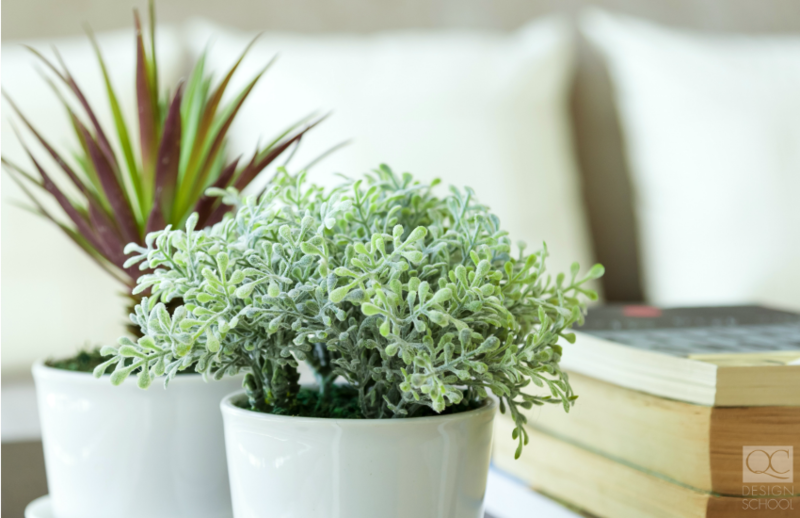 Keep reading for our green guide to using plants in your home décor! Succulents are miracle plants. They’re all the fun without any (okay there’s actually some) responsibility. Contrary to popular belief, succulents aren’t all dulled and grey/green toned. The succulent family is huge, so there’s something for everyone. Why not get a bunch of different succulents and put them into a shallow container (terrariums, troughs, or jars are great) to have a mini garden as a centerpiece. If you are potting many of them together into one display, make sure that you choose similar plants that require the same amount of sunlight and water. That way your clients won’t be overwatering some plants and starving the others! Our favorites are the Jade Plant, the Christmas Cactus, and the Snake Plant. Green plant walls are an incredibly trendy additional to the home. The plants on the wall can help clean the air, humidify, and provide extra oxygen to the environment. The more leaves on the wall, the more carbon dioxide and other toxins are being absorbed, and the more oxygen is released! These walls are also great for insulating the building, thereby reducing heating costs for the homeowners. These beautiful walls of living plants can be custom designed for the available light in a space and installed pre-grown or as starter plants that you can cultivate for yourself. If you have a green thumb, you may want to look into growing your own plant wall—be warned though, they can become quite expensive if you install irrigation systems for the wall. This type of plant rivals the succulent and cactus when it comes to the amount of attention it needs from homeowners. It doesn’t need constant watering, but the real confusion sets in when you realize that this plant doesn’t grow in soil! Air plants exude luxury since you can grow them in soil-less glass orb containers. These plants grow best in indirect sunlight. If your clients have a bathroom with bright but filtered sunlight, this is a great place to put your air plants! The natural humidity in the bathroom benefits tillandsia plants since they use their leaves to absorb moisture. Don’t be fooled, though! Your clients still need to water their plants by completely submerging them in water once a week. Just make sure the plants are placed back in their containers with their roots in the water, as they won’t survive this way. There’s something to be said about being able to pluck a leaf off your basil plant and just toss it directly into your spaghetti dinner. 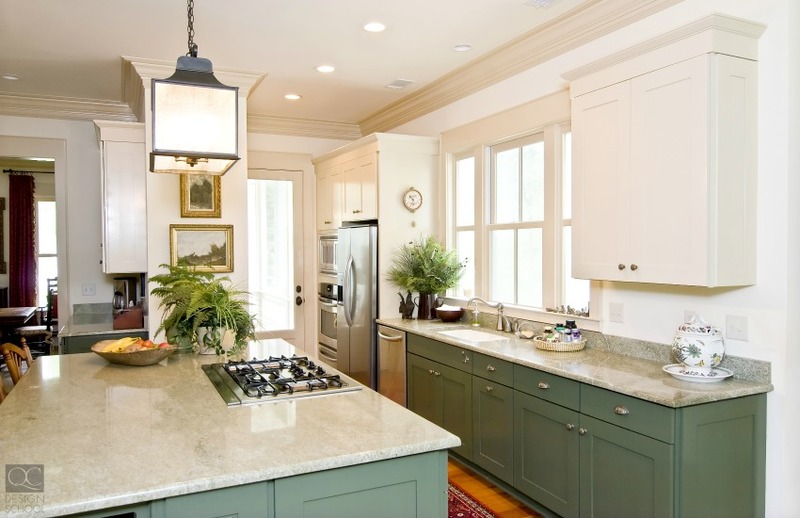 The kitchen is one space where decorative items must also be functional! You have to think about saving counter space, after all. An herb garden will not only liven up their kitchen space, but it also provides aromatic and flavorful herbs that are excellent for health and wellness. The one thing you have to keep in mind is that you have to prune them early on – even if you don’t intend on eating them or if the flavors haven’t developed fully. In order to help them flourish, you have to snip off stems right above the node, but keep the larger leaves on the bottom in tact to build a strong base for your plants! Save some space by planting them into potters and mounting them on the wall. Our favorites are mint, basil, chives, and parsley! It’s relatively easy to find space for smaller plants around the house, but larger plants often make a huge statement and can even be a focal point in a particular room. Because they do draw-in so much attention, it can be tricky to find space for them without having their long, leafy greens be overbearing. Why not try a money tree? These trees don’t require direct sunlight and can even tolerate lower indirect light. They don’t need too much watering, absorb water from atmosphere, and have braided trunks that really make this tree more ornate and larger-than-life. You can also opt for palm trees (date, fan, bamboo) or a monster deliciosa to introduce a lush, tropical vibe and bring paradise to your client’s home! Last but not least, we have flowering plants! Most times when people decorate with live flowers, they are purchasing them as bouquets from a florist—but it’s completely possible to have year-round flowering plants indoors! Flowering plants usually require the most amount of attention, since we all tend to picture orchids and tulips when we think, “flower”; however, various types of cacti also offer beautiful flowers that add color to the home without all the work. Desert cacti don’t need too much water, but do need loads of sunlight. They are easy plants to cultivate if your clients are busybodies but still want a green presence in their home. If your clients are ready to take the plunge and invest in the typical flowering plants, a rewarding variety would be the African Violet. These plants come in a range of pretty colors and it’s completely possible to foster blooms several times a year if they are kept under the right conditions. There’s more to making a home environmentally friendly beyond adding plants. Find out how to help your clients make a greener home!